Acting Eskom Senior General Manager Dan Mashigo has told the Commission of Inquiry into State Capture that the Tegeta Brakfontein mine coal had higher sulphur emissions, which means the quality of the coal was low. Mashigo told the commission at Parktown in Joburg, that this also means the coal was producing less power. The Gupta linked Tegeta Brakfontein coal mine was found to be supplying substandard coal in 2017. 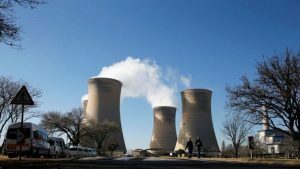 Mashego says a power station has to be within certain boundaries in regards to emissions – which the Brakfontein coal did not meet. The post Tegeta mine coal had higher sulphur emissions: Mashigo appeared first on SABC News – Breaking news, special reports, world, business, sport coverage of all South African current events. Africa's news leader..